Police’s Counter Terrorism and Transnational Crime (CTTC) unit will file supplementary chargesheet in the Gulshan café attack case if new information emerges from grilling suspects— Mamunur Rashid Ripon and Shariful Islam Khalid, who were recently held. Following the two suspects’ arrests, by the Rapid Action Battalion (RAB), CTTC has filed a plea to have them shown arrest under Anti Terrorism Act with the Rupnagar police, according to sources. “We will seek court’s order to grill them in custody. In new information are revealed in the interrogations we will file supplementary chargesheet in the case,” said CTTC Deputy Commissioner Mohibul Islam Khan. On July 1, 2016, 20 people were killed including 17 foreigners during an extremist attack on the upscale Gulshan cafe, Holey Artisan Bakery. A commando raid, the following morning eliminated five radicals who carried out the attack and rescued 13 hostages. On Jul 23, the investigation officer of the case Inspector Humayun Kabir submitted the charge sheet with the Chief Metropolitan Magistrate’s court. Charges were pressed against remaining eight suspects, including Ripon and Khalid who were fugitives at the time, over the brutal attack in the upscale Dhaka café. On Nov 26, 2018, the court indicted the eight. 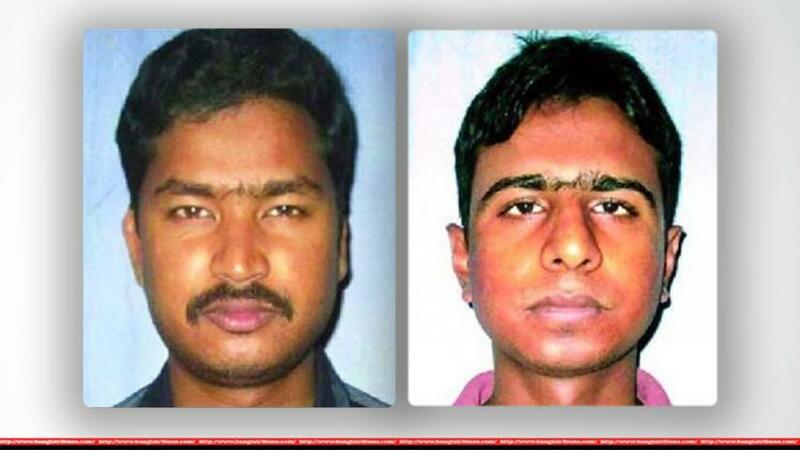 In January, 2019, elite force RAB arrested Ripon and Khalid from Gazipur and Chapainawabganj respectively. Ripon was arrested on Jan 19 with Tk 150,000 in his possession while Khalid, also a condemned convict in the murder case of Rajshahi University Professor Rezaul Karim, was held from Chapainawabganj on Jan 25. RAB sought permission to quiz the duo in custody after presenting them before the court in connection with a case filed with the Khilgaon police. According to RAB officials, both ‘militants’ had been trying to revive the Neo JMB and they revealed sensational information during interrogation besides confessing their role in funding the Dhaka cafe attack. CTTC officials said, Mamunur Rashid Ripon, who is a top leader of the Neo JMB, was responsible for supplying arms, explosives and money for the attack. Ripon was one of the confidantes of Gulshan attack mastermind Tamim Chowdhury, who formed the Neo JMB. Chowdhury and his two cohorts were later killed in a police raid in Narayanganj on 2016’s September. Ripon, also involved in a number of killings in the northern areas of the country, hails from Bagura’s Nandigram. He has been a fugitive since the Gulshan attack, CTTC officials added. The other suspect Shariful Islam alias Khalid also went into hiding following the Holey Artisan attack. On May 8, 2018, a Rajshahi court handed death penalty to two including Khalid and sentenced three others for life over the 2016 assassination of varsity teacher Rezaul Karim. Khalid hails from Rajshahi’s Sreepur area in the Bagmara Upazila. According to CTTC officials, Ripon and Khalid may reveal information previously unknown regarding the Holey Artisan attack during interrogation. They are expecting new details over the militants’ activities ahead of the brutal attack including arms transportation from neighbouring country and funding. The anti-terror unit, probing the incident is also keen to uncover how the militants provided funds from India. Should new information, relevant to the Holey Artisan attack, comes to light, CTTC will move to file a supplementary chargesheet, they said.